In just a little more than two weeks, we should be hearing about the newest rover to land on Mars – the Curiosity Rover. Built at the California Institute of Technology and NASA’s Jet Propulsion Laboratory in Pasadena, California, this SUV sized rover will carry the largest and most advanced suite scientific instruments to ever land on the planet’s surface. The goal of the mission is to study the habitability of Mars. 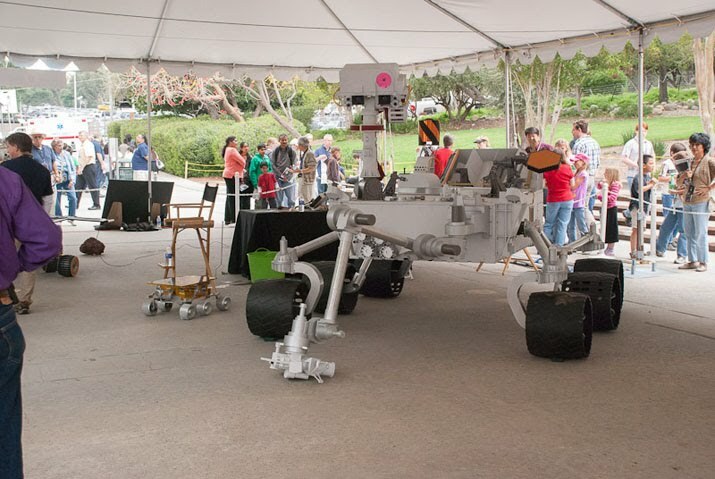 In May of 2009 I was lucky enough to visit the Jet Propulsion Laboratory for an open house. These annual events are an amazing opportunity to not only learn more about all of the current missions at NASA, but also to meet many of the scientists who are working on the missions. Seeing the actual hardware, looking into the actual labs, and talking with the actual investigators is an unparalled opportunity. 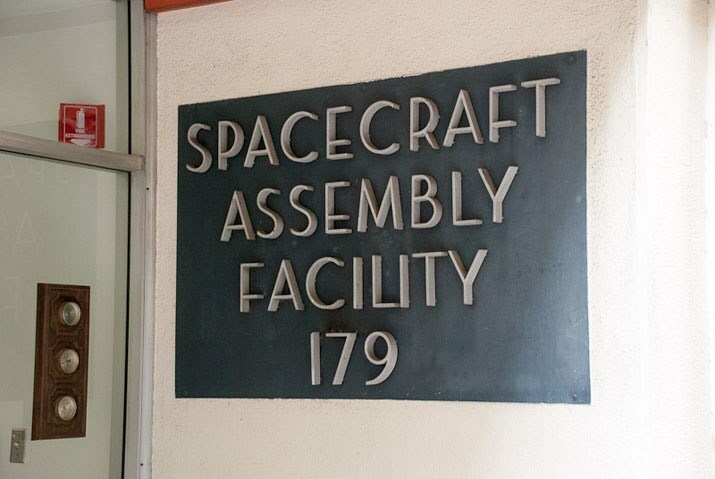 At the 2009 open house, one of the "must see" stops on the tour was Building 179 – the Spacecraft Assembly Facility. 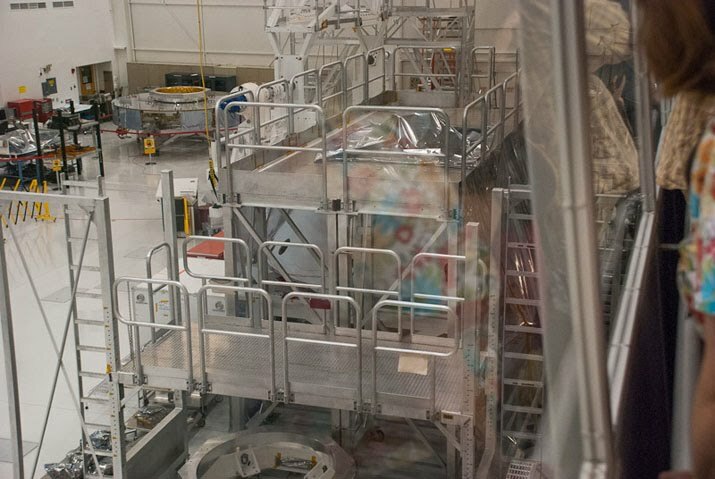 Inside the giant cleanroom, the JPL team was beginning the final assembly of the Mars Science Laboratory. Looking down, the skycrane was more than recognizable. Unlike previous rover missions, this craft will not be landing in a shell that is protected by several airbags. 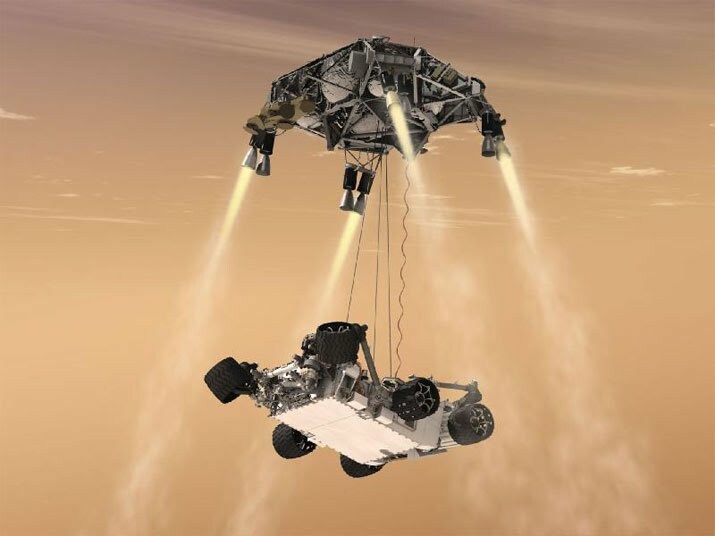 instead, the rover will be attached to the skycrane and parachute through most of the atmosphere. Then, when it is really close to the ground, the skycrane will fire it's rockets, bringing itself to a hover, while the rover is lowered to the surface. In the picture, you can see all the rocket motors on the outside perimeter of the craft, and some of the fuel tanks mounted in the interior. 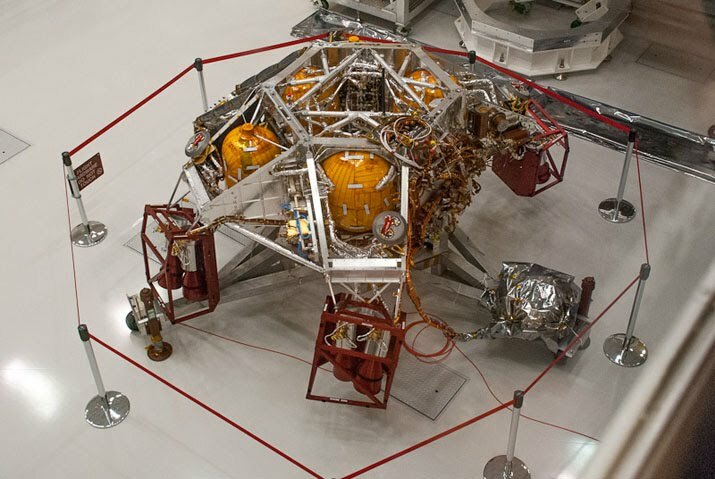 Straight ahead, the heat shields that will protect the skycrane and the rover durring the entry into the planet's atmosphere were sitting in the background of the room, and the two wheel assemblies for the rover were inside the carts in the foreground. Just to the right of the carts and heat shields, the core of the rover was mounted upside down on a service stand. 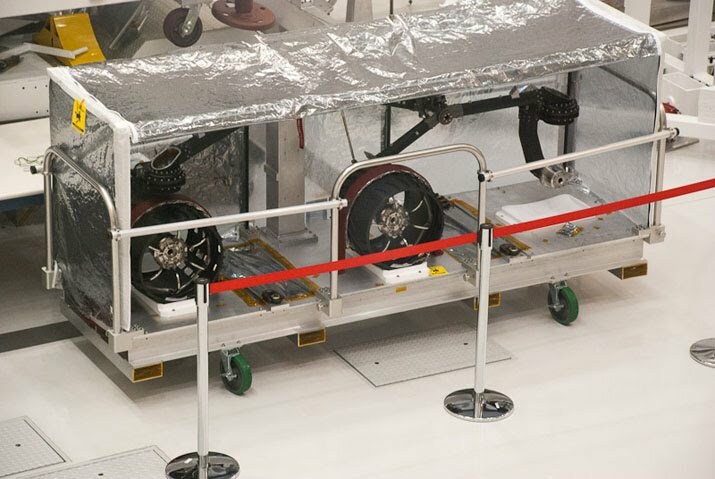 Further to the right of the rover shell are motors and drive systems that are covered by a protective blanket. 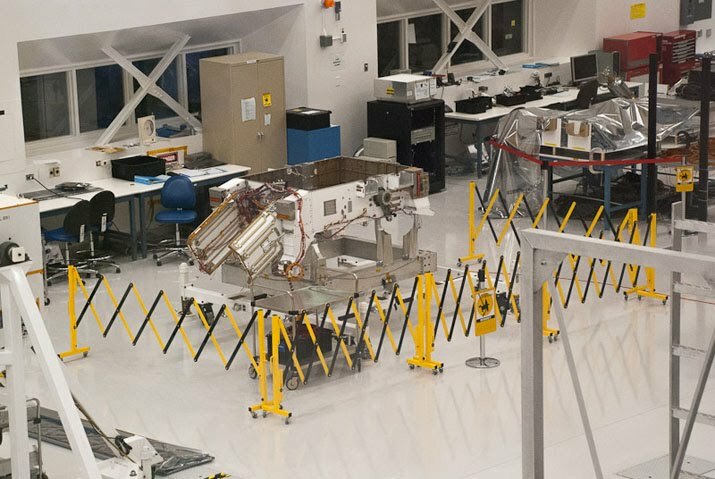 Learn more about the Mars Science Laboratory's Instruments here. 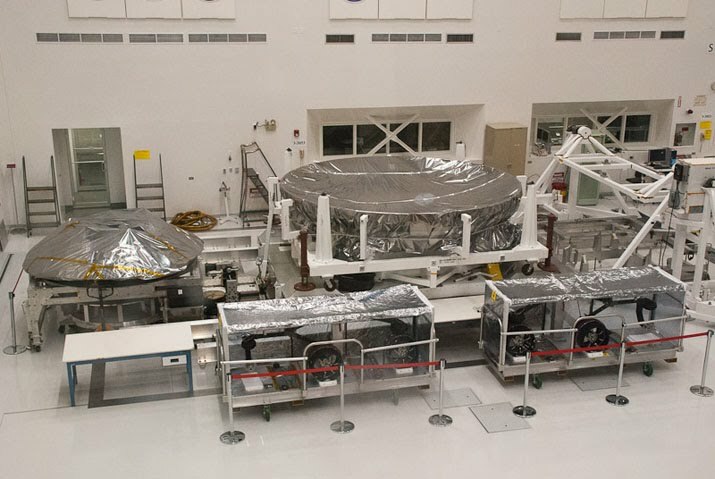 The actual spacecraft that will carry the mission from Earth to Mars was also in the room, though it was hard to see because it was surrounded by scaffolding. A few photos ago did you notice that the wheel assemblies were missing a few wheels? Thats because they were still being finished. Next to the assembly facility is the machine shop, where many of the parts of the rover are made. 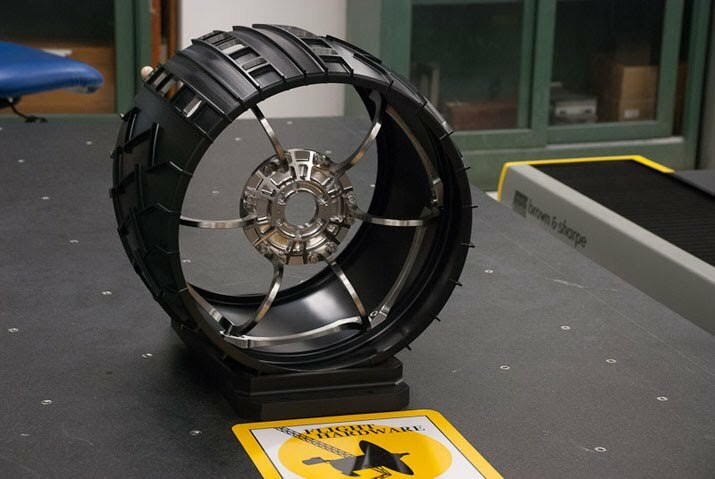 This rover wheel was in the final stages of quality assurance before going into the assembly facility. The wheel was placed on a special, extremely level table, where a computer probe systematically touched the finished wheel, and compared the actual dimensions of the part with the dimensions the computer model specified for the wheel. Leaving the assembly and manufacturing area of the JPL campus, one of my last stops on the tour was the Deep Space Mission Control facility. 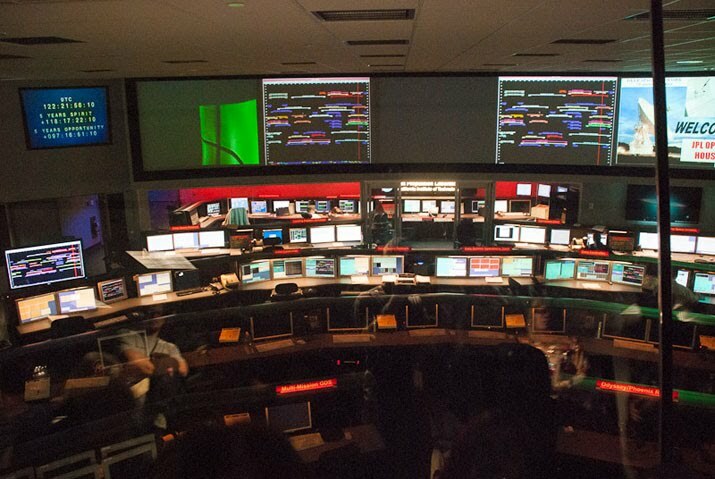 This room one room handles all of the signals from nearly every space probe controlled by NASA. From this one point, each mission will then get the data in their own separate control rooms. Since this was a weekend when there were no large missions, the room was rather quiet. On the big boards, there are two displays with colored lines. These represent the windows when each mission will be in view of their antennas.